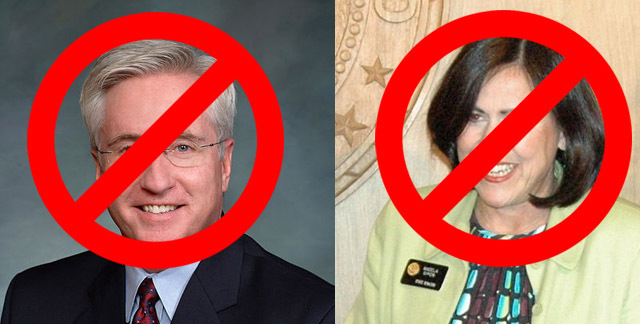 According to the Denver Post, A Denver District Court judge has just ruled that the recall of both Colorado State Senate President John Morse and Senator Angela Giron can proceed. Both Morse and Giron challenged the recall paperwork based on technical mistakes in the paperwork, despite more than enough valid signatures from their constituents. The decisions is expected to be appealed to the Colorado Supreme Court. The judge denied a request from the Secretary of State to issue a court order to force Governor Hickenlooper to set a date for the recall election ASAP. Both Morse and Giron are being recalled over their support for strict gun control laws, which were passed in Colorado earlier this year. Many Colorado sheriffs are suing the state over the laws. The laws also resulted in a loss of business for Colorado. Most notably, Magpul moved their multi-million dollar manufacturing and retail operation out of the state due to the passage of the laws. If the recall elections happen following all court options, it will be the first time a recall election was successfully brought about since the law allowing recalls was put in place over 100 years ago.